If you need assistance, information, place your order over phone, or any other query related to your order, delivery or return, our customer service team is available Monday to Friday and from 9am to 1pm and from 2pm to 6pm (Eastern standard time). Once your order is finalized, you will receive a confirmation email. However, if you do not receive the confirmation email, please start by checking your inbox and your spam folder. If you cannot find the confirmation email, please contact our customer service team available Monday to Friday and from 9am to 1pm and from 2pm to 6pm (Eastern standard time). To do so, you must contact our customer service, available Monday to Friday and from 9am to 1pm and from 2pm to 6pm (Easter standard time), by mail clicking here or by phone with the following phone number : 0800 909 368. For any modification request, please indicate your order number when contacting the customer service team. In order to cancel your order, you must contact our customer service team, by mail clicking here or by calling the following phone number: +00377 97 98 60 82, stating your order number. If you experiencing technical issues during your online purchase, please contact our customer service team, available Monday to Friday from 9am to 1pm and from 2pm to 6pm (Eastern standard time), by mail clicking here, or by calling the following phone number : 0800 909 368. The website www.bananamoon.com allows deliveries in metropolitan France, Corsica and Monaco. But also in Guadeloupe, Martinique, Réunion, Guyana, Mayotte, and the French overseas territories : French Polynesia, St Barthelemy, Saint-Martin, Saint-Pierre and Miquelon, Wallis and Futuna, New Caledonia. Any order placed on Bananamoon.com before 1pm during business days will be prepared and shipped the same day, provided payment was received as described in section 4 of this Agreement. After processing the order, products will be shipped using the shipping method selected by the Customer, and will be delivered in accordance with the delivery time specified on the website at the time the order was completed. Orders placed after 1pm will be processed the following business day. Orders placed after 1pm on Friday, during weekend or holidays, will be shipped the following business day. Estimated delivery time is indicated for informational purposes only and will apply from the date the order is shipped. Our customer service team is at your disposal, Monday to Friday from 9am to 1pm and from 2pm to 6pm (Eastern standard time), if you have specific questions, please contact them by mail clicking here or by calling the following phone number : 0800 909 368. Please contact our customer service team, available Monday to Friday from 9am to 1pm and from 2pm to 6pm (Eastern standard time), by mail clicking here or by phone at the following phone number : +00377 97 98 60 82. Please indicate precisely the identified defect(s) (preferably with photos). If you find that the ordered products are defective, please contact the customer service team, available Monday to Friday from 9am to 1pm and from 2pm to 6pm (Eastern standard time), by mail clicking here or by phone with the following phone number: +00377 97 98 60 82. Please indicate precisely the identified defect(s), preferably accompanied by pictures. You have a period of fifteen (15) calendar days (calendar days include Saturdays, Sundays and holidays) after the receipt date of your order to return the item(s) for an exchange, a partial or a full refund of your order except for gift boxes. You have a period of fifteen (15) calendar days (calendar days include Saturdays, Sundays and holidays) after the receipt date of your order to exchange one or more products of your order (in the limit of available stocks). For an exchange, please follow the returns terms and procedure described below. If you have requested a refund: You will receive an email confirming your return has been processed. The bank account you used to make the payment will be automatically credited within a maximum of fourteen (14) days of the returned packet being received at the warehouse. If you have requested an exchange: you will receive an email to let you know that your Banana Moon account has been credited. You can then carry out your exchange directly on the website www.bananamoon.com. When it comes to payment, select the “pay using shop credit” box to use your credit. If the exchange article costs less than your return the difference will remain available on your account. You are responsible for return and exchange shipping costs. In the event Banana Moon made a mistake when processing your order, we will be responsible for shipping costs. 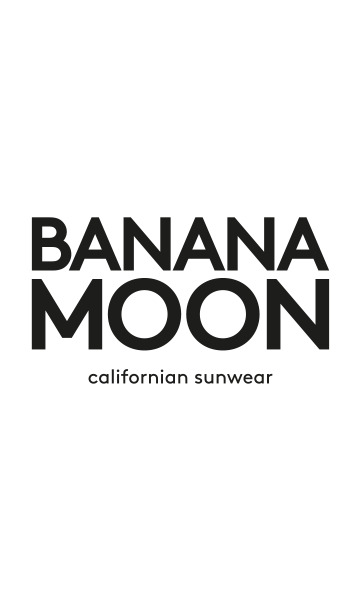 The products purchased on the official online store of Banana Moon cannot be exchanged or returned at Banana Moon stores or other outlets. If your product(s) have been damage during transportation, please contact the customer service team, available Monday to Friday from 9am to 1pm and from 2pm to 6pm (Eastern standard time), by mail clicking here or by phone with the following phone number: 0800 909 368 with an explanatory note of the damages. Remember to include your order number and your contact information in the email.